e3M by Eeeni Meeni Miini Moh - the new brand for ages two to twelve debuts this month! e3M by Eeeni Meeni Miini Moh – the new brand for ages two to twelve debuts this month! Winter ranges are hot, hot, hot right now and the eagerly-anticipated new e3-M collection for kids aged two to twelve debuts with a bang this season! Last September we gave you a taste of what was to come from Eeeni Meeni Miini Moh with its brand new e3-M range and the wait is over. The new range includes delectably-hued and supremely comfortable garments for girls, evoking all things rich and rare. For boys, endangered species such as gorillas and rhinos feature on long-sleeved tees and co-ordinate with striped hoodies and raw cord pants. I really have to applaud the attention to balance in the e3-M collection. 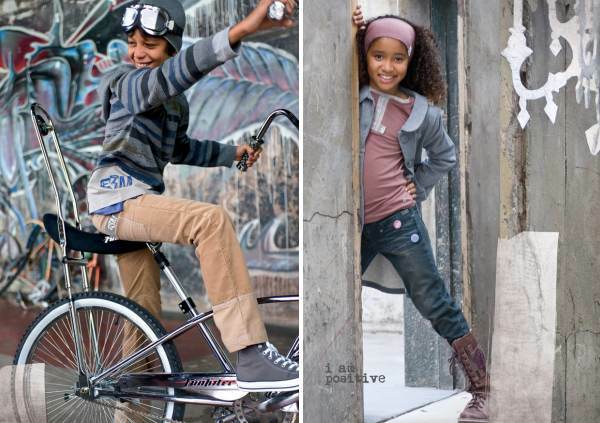 Kids get harder to dress as they get older, wanting something cool yet still needing to be incredibly active. The new e3-M collection ticks all my boxes for a well-rounded junior lifestyle. Buy from Eeni Meeni’s online store or look out for it where you usually buy your Eeni. Also enjoy some images from the newborn to five collection – see below.